Subscriber – natural person, legal person or unincorporated organizational unit which uses Lycamobile’s services pursuant to terms and conditions set forth in these Regulations and which is not a party to a contract in writing. Adapter – Telecommunications Device which allows for connection to the telecommunications network and directing to it or modifying communications, telephone connections or signals from other telecommunications networks. Activation – Subscriber’s activity consisting in purchase of Lycamobile’s SIM Card and first connection or use of other service specified in the Price List (in particular sending an SMS or making a telephone call). Price List – list of services provided by Lycamobile together with fees therefore, including also fees for repair and maintenance services. Customer Service Department – Lycamobile’s unit designated for provision of service to Subscribers, in particular handling complaints, repair and maintenance service, available on the website: www.lycamobile.pl. SIM Card – card with microprocessor (also USIM card or other card) which allows for access to services provided by Lycamobile by way of inserting it into a Telecommunications Device, in particular a telephone. A SIM Card has PIN (Personal Identification Number) and PUK (Personal Unblocking Key) assigned thereto. Consumer – natural person who performs an act in law which is not directly related to its business or professional activity. Account – PLN amount to be used as payment for using services provided by Lycamobile, assigned to Subscriber’s SIM Card. Regulations – this document which is an integral part of the Contract. Special Offer Regulations – documents setting forth terms and conditions additional to those set forth in Regulations and Price List, usually more beneficial to the Subscriber. International Roaming – services provided by Lycamobile in cooperation with other entrepreneurs which may be used by the Subscriber within the coverage of foreign networks. Contract – contract for telecommunications services, with no requirement of written form, under which Lycamobile provides services pursuant to terms and conditions set forth in Regulations, Price List and Special Offer Regulations with which the Subscriber shall comply. Telecommunications Device – device, in particular a telephone, allowing for wireless communication based on radio transmission with the use of appropriate radio frequency bands. Premium Rate Service – telecommunications service comprising telecommunications service and additional benefit. Telecard – card in physical (usually scratch card) or electronic form (credit receipt) with a thirteen-digit code, used for crediting the Account. Regulations set forth the terms and conditions for provision of telecommunications services to Subscribers by the company styled “Lycamobile spółka z ograniczoną odpowiedzialnością” with its registered office in Warsaw, at the following address: ul. Przemysława Gintrowskiego 34, R34 office building, 02-697 Warsaw, Poland. c) credit the Account if its balance is zero. The Contract shall be effective for indefinite period of time. – registered office and address for correspondence. b) send an e-mail to the e-mail address indicated for this purpose by the Subscriber, or send a message via a similar means of remote communications, with the contents of each proposed amendment to the terms and conditions of the Contract, as set forth in Regulations or Special Offer Regulations, if the Subscriber submitted such a request to Lycamobile at least one month before such amendments take effect. b) send an e-mail to the e-mail address indicated for this purpose by the Subscriber, or send a message via a similar means of remote communications, with the contents of each proposed amendment to the Price List, if the Subscriber submitted such a request to Lycamobile at least one month before such amendments take effect. Lycamobile shall not be held liable if the Subscriber provides improper data, referred to in section 3. At all times, the Subscriber may request deregistration of his or her data by way of submitting an appropriate written statement. Lycamobile provides services with the use of its own telecommunications network, but it may provide them also with the use of networks of other telecommunications entrepreneurs, including foreign entrepreneurs for International Roaming purposes. c) data transmission, including transmission allowing for Internet access. Lycamobile does not currently provide Subscribers with access to Premium Rate Services. Fees shall be charged for effecting connection, time of phone calls made, number of SMS sent, volume of data transmitted. Specific manner of charging fees is set forth in the Price List. Other manner of charging fees may be set forth in Special Offer Regulations. Services provided by Lycamobile shall be pre-paid services (paid in advance by the Subscriber by way of crediting the Account). Payment in advance made by the Subscriber shall not entitle him or her to demand recovery if he or she resigns from using Lycamobile’s services. 5. Obtaining information on the current Price List and fees for repair and maintenance services. The current Price List is available on the website: www.lycamobile.pl. In addition, the Price List may be served or delivered pursuant to terms and conditions set forth in § 3. The Price List may be amended in accordance with applicable provisions of law. In order to use Lycamobile’s services, the Subscriber shall credit his or her account. As the services are used, the Account shall be debited with fees charged in accordance with the Price List. The Subscriber may credit his or her account via Telecard, by way of using the code written thereon, or online in points which cooperate with Lycamobile. In addition, the Subscriber may credit his or her account via the website:www.lycamobile.pl. Telecard is valid for a specified period only; after its expiration Telecard may not be used for crediting the Account. To the Subscriber who disclosed data, referred to in § 3, Lycamobile shall deliver, at his or her request, a basic statement of provided telecommunications services, including only services provided after the request was submitted. The first statement shall be delivered to the Subscriber within 14 days from the date of his or her request, and each subsequent statement – up to the 10th day of each calendar month. Fee specified in the Price List shall be charged for statement delivery. Itemized statements are also available via “My Lycamobile” on the website: www.lycamobile.pl. The basic statement of provided telecommunications services shall include information on payable connections made and state, for each type of connection, the number of units of account corresponding to the value of connections made by the Subscriber. To the Subscriber who disclosed data, referred to in § 3, Lycamobile shall deliver, at his or her request, a detailed statement of provided telecommunications services, including services provided in the previous month. The first statement shall be delivered to the Subscriber within 14 days from the date of his or her request, and each subsequent statement – up to the 10th day of each calendar month. Fee specified in the Price List shall be charged for statement delivery. Itemized statements are also available via “My Lycamobile” on the website: www.lycamobile.pl. To the Subscriber who disclosed data, referred to in § 3, Lycamobile shall deliver on a one-off basis, at his or her request, a detailed statement of provided telecommunications services, including services provided in the period not exceeding 12 months preceding the date of Subscriber’s request. In such circumstances, the detailed statement of provided telecommunications services shall be delivered within 14 days from the date of Subscriber’s request. Fee specified in the Price List shall be charged for statement delivery. Itemized statements are also available via “My Lycamobile” on the website: www.lycamobile.pl. The detailed statement of provided telecommunications services shall include information on payable connections made and state, for each type of connection: number dialled, date and time the connection began, its duration and fee for connection with specification of gross and net price. b) current promotional and special offers. Lycamobile may record the contents of connections with the Customer Service Department in order to document instructions made to consultants by the Subscriber and improve Subscriber service. Information on fees for repair and maintenance services is included in the Price List. Lycamobile shall be liable for non-performance or improper performance of the Contract, unless such non-performance or improper performance results from circumstances beyond its reasonable control, in particular force majeure, Subscriber’s fault or Subscriber’s breach of Regulations, Contract or requirements related to special offers. Lycamobile shall not be liable for non-performance or improper performance of the Contract if there is no possibility of providing telecommunications services while the Subscriber makes connections via telecommunications networks of foreign operators or via networks of other operators. For technical reasons, i.e. due to necessity of maintenance, modification, modernization or protection of telecommunications network, Lycamobile’s services may be temporarily unavailable. Due to the manner of service provision, i.e. wireless communication based on radio transmission with the use of appropriate radio frequency bands, in special cases Lycamobile’s telecommunications network may be overloaded due to large numbers of connections made or messages sent or large volumes of data transmitted and received, which may affect availability and quality of services provided. Lycamobile shall not be liable for intervals in provision of telecommunications services which result from failure to meet technical parameters, in accordance with ETSI standards, by the Subscriber’s Telecommunications Device which does not have a mark of conformity with fundamental requirements and does not allow for using particular types of telecommunications services. Lycamobile shall provide services within the scope of technical possibilities. Network coverage and data transmission speed are dependent on many factors, in particular geographical, urban and weather conditions. Lycamobile shall not be liable for use of services in the event that SIM Card is lost or stolen. In the case of non-performance or improper performance of the Contract, Lycamobile shall be liable to the Subscriber for losses suffered by him or her, subject to terms and conditions set forth below. For each day of interval in provision of all telecommunications services available to the Subscriber, the Subscriber may demand payment of contractual penalty in the amount of 1/15 of average monthly use in the 3 last calendar months before the day the complaint was submitted, or, if the Subscriber has been a party to the Contract for less than 3 months – average monthly use in the period in which he or she has been a party to the Contract. For each day of interval in provision of individual services available to the Subscriber, the Subscriber may demand payment of contractual penalty in the amount of 1/15 of average monthly use of a given service in the 3 last calendar months before the day the complaint was submitted, or, if the Subscriber has been a party to the Contract for less than 3 months – average monthly use of a given service in the period in which he or she has been a party to the Contract. Payment of the contractual penalty shall be made on the basis of complaint submitted by the Subscriber and accepted by Lycamobile within 14 days from complaint acceptance. Penalties specified in sections 9 and 10 hereinabove shall not be cumulative. If losses suffered by the Subscriber exceed the amount of contractual penalty specified in sections 9 or 10 hereinabove, the Subscriber may claim damages in excess of contractual penalty. c) losses resulting from Subscriber’s failure to protect data and software used by the Subscriber and stored or installed on the Telecommunications Device and devices linked thereto. co-operate, at Lycamobile’s request, in remedying for actions or events described hereinabove. Complaints may be related to non-performance or improper performance of services by Lycamobile or miscalculation of fees for service provision (value of use). g) Subscriber’s signature – if the complaint is submitted in writing. Complaints may be made via telephone to the Customer Service Department, via fax or in writing to the address: Lycamobile Sp. z o.o., ul. Przemysława Gintrowskiego 34, R34 office building, 02-697 Warsaw, Poland, via e-mail to the address: cs@lycamobile.pl, or in writing or orally for the record in a point of sale (service). If the complaint submitted in writing, orally for the record or via telephone does not meet the requirements set forth in section 2, letters a) – d), f) or g), an authorised person, representing Lycamobile, who receives the complaint shall inform the complainant on the necessity of supplementing it. If the submitted complaint does not meet the requirements set forth in section 2 letters a) – d), f) or g), Lycamobile’s unit which handles the complaint shall, if it finds it necessary for proper handling of the complaint, promptly call on the Subscriber to supplement it, and determine the scope of such supplement and the time limit of 7 days, and inform him or her that in the case of their failure to supplement the complaint within the time limit, it shall remain unhandled. After the Subscriber fails to supplement the complaint before the time limit expires, it shall remain unhandled. If the complaint is submitted in writing or orally for the record in a point of sale (service), the complainant shall promptly receive a written confirmation of receipt. If the complaint is submitted via telephone to the Customer Service Department, in writing or via fax to the address indicated in section 3 or via e-mail, the complainant shall receive, within 14 days, a written confirmation of receipt. If the complaint is handled within 14 days from the date it was submitted, Lycamobile shall not be obliged to confirm receipt in writing. The date of receipt, by a consultant from the Customer Service Department, of complaint submitted via telephone, date of Lycamobile’s receipt of fax or letter with a complaint, date of receipt of complaint submitted in writing or orally for the record in a point of sale (service), or date of receipt of complaint sent via e-mail to the address: cs@lycamobile.pl shall be deemed the date of receipt. Complaints may be submitted within 12 months from the date of event which is the object of complaint. Complaints submitted after the time limit expires shall remain unhandled. A complaint shall be handled within 30 days from the date of receipt. Lycamobile shall reply in writing to a complaint which meets the requirements set forth in this Article. If the complaint is not handled within 30 days from the date of receipt, it shall be deemed accepted. Any disputes between Lycamobile and a Consumer who is a Subscriber or demands entering into a Contract with Lycamobile may be settled amicably in mediation proceedings presided by the President of OEC [Office of Electronic Communications] or before arbitration court by the President of OEC. 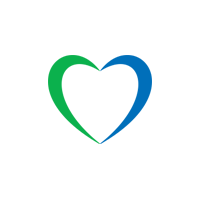 Lycamobile is an administrator of personal data within the meaning of the Act of 29 August 1997 on Personal Data Protection (uniform text of Dz. U. [Journal of Laws] of 2002, No 101, section 926 as amended). Subscribers’ personal data are processed by Lycamobile for purposes specified in the Articles of Association, for purposes of service provision, documentation, sale of products and services, and marketing activities undertook by Lycamobile on its own or in cooperation with other entities, in particular: sale of products and services, sending information on new products and services, participation in contests, promotion, promotional actions with Lycamobile’s partners. Subscribers’ personal data may be disclosed to other data administrators if it is necessary for participation in marketing actions organized in cooperation with a partner. Subscribers’ personal data may be disclosed to authorized bodies and economic information offices, or, if necessary, to debt collection agencies, including entrepreneurs engaged in collecting and trading in receivables as well as holders of their power of attorney. Lycamobile shall ensure that rights arising out of the Act of 29 August 1997 on Personal Data Protection (uniform text of Dz. U. [Journal of Laws] of 2002, No 101, section 926 as amended) are respected, i.e. it shall provide Subscribers with access to their own personal data and the possibility to change it, and respect their right to submit, in circumstances stipulated for in the Act, a substantiated written request for cessation of processing their personal data, and the right to oppose to processing their personal data for marketing purposes or to disclosing it to other data administrators. The Subscriber shall send any correspondence in relation to processing personal data to the address: Lycamobile Sp. z o.o., ul. Przemysława Gintrowskiego 34, R34 office building, 02-697 Warsaw, Poland, with a note ‘Personal Data’. Lycamobile shall, in accordance with applicable law and within the scope of technical possibilities, meet the requirements of telecommunications secret protection. The foregoing shall not apply to cases in which information protected by telecommunications secret may be disclosed under applicable provisions of law. To the extent necessary for provision of telecommunications and other services, Lycamobile has the right to collect, backup, store, develop, amend, delete or make available data protected by telecommunications secret. Lycamobile has the right to process transmission data necessary for charging fees from the Subscriber and fees related to settlements between operators. The scope of transmission data processed, including location data, which mean all data processed in telecommunications network indicating geographical location of the Subscriber’s final device (Telecommunications Device used by the Subscriber), shall include data related to submitting communications in telecommunications networks or serving for charging fees for telecommunications services. The period of time for processing transmission data shall not exceed 24 months from date of transmission, unless applicable provisions of law require that such data be processed longer. In addition, transmission data may be processed in the period of asserting claims. The Subscriber may influence the scope of processing his or her data by way of specifying the scope of telecommunications services provided in accordance with his or her request. Lycamobile has the right to process data, referred to in section 3 hereinabove, for purposes of telecommunications services marketing or provision of Premium Rate Services within the scope and in the period necessary for purposes of telecommunications services marketing or provision of Premium Rate Services, provided that the Subscriber gives his or her consent thereto. The Subscriber may give his or her consent to processing data also via e-mail. The period of time for processing data within the scope specified herein shall not exceed 24 months from date of transmission, unless applicable provisions of law require that such data be processed longer. In addition, transmission data may be processed in the period of asserting claims. The Subscriber’s consent may be withdrawn free of charge at any time, also via e-mail. Transmission data may be also processed, in accordance with sections 3 and 4, by entities authorized by Lycamobile which are engaged in charging fees, traffic management in telecommunications networks, customer service, financial abuse detection system, telecommunications services marketing or provision of Premium Rate Services. Such entities may process transmission data solely for purposes necessary for the said activities. While the Subscriber uses International Roaming via foreign networks, other terms and conditions of processing, storing and transferring the Subscriber’s data may be applied than those set forth in these Regulations, in accordance with the requirements applied by foreign entrepreneurs who provide access to foreign networks for International Roaming purposes. Lycamobile or entities acting on its behalf may join in the existing connection if it is necessary for resolving failure, disruptions or other purpose related to repair and maintenance of telecommunications network or provision of telecommunications services, provided that this fact is signalled to persons participating in the connection. Lycamobile reserves the right to regulate in detail, in separate regulations sent via e-mail, issues related to processing data within the scope of service provision. 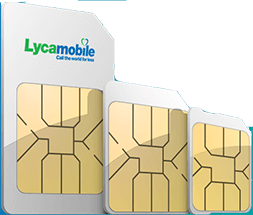 Lycamobile shall notify the Subscriber via SMS or e-mail (if the Subscriber disclosed his or her address) of the fact that the SIM Card will be deactivated, which means that Lycamobile’s services could be used no longer. In such a case, Lycamobile shall determine an additional time limit of 30 days for making a phone call, sending an SMS, using data transmission or Premium Rate Service, or crediting the Account. If the Subscriber makes a phone call, sends an SMS, uses data transmission or Premium Rate Service or credits the Account within the additional time limit of 30 days, he or she shall have the possibility to use Lycamobile’s services and the Account shall remain available for use. b) the number assigned to the Subscriber may be assigned to another Subscriber. Deactivation of the SIM Card, in accordance with section 3, shall amount to termination of the Contract, unless Lycamobile gives its consent to continuation of service provision to the Subscriber. Lycamobile has the right to suspend and then stop providing services to the Subscriber forthwith or suspend providing any services under any Contract with the Subscriber, if the Subscriber fails to meet any obligations set forth in § 10 . In each case, the Contract with the Subscriber shall be terminated upon final cessation of service provision (deactivation of the SIM Card), unless Lycamobile gives its consent to continuation of service provision to the Subscriber. b) losing by Lycamobile its authorizations to run a business of service provision to the Subscriber. The Contract shall be also terminated if the SIM Card is deactivated at the Subscriber’s request. Such a request may be submitted to a point of sale (service). In such a case, the Subscriber shall not claim recovery of the remaining balance of his or her Account. To all matters not settled herein relevant provisions of generally applicable law shall apply. Any correspondence sent to the Subscriber who disclosed data in accordance with § 3 item 3 to the address indicated most recently shall be deemed properly served. Any disputes shall be settled by the court having jurisdiction over Lycamobile’s registered office. This provision shall not apply to disputes to which a Consumer is a party. These Regulations shall take effect on 31st of July 2018.
in the case of companies, REGON identification number or NIP tax identification no., or a number assigned in the register of companies or in the business activity register (KRS), or in another relevant register maintained by a EU member state. According to legislation, the prepaid service subscriber’s registration data must be verified based on comparing registration data provided by the prepaid service subscriber with the information included in the identification document (Dowód Osobisty, Paszport). This means that Lycamobile (or its retail point of sale must see the identification document. In the event the prepaid service subscriber does not provide valid identification at registration which can be verified, the SIM Card cannot be activated for use. If it is later determined that the registration data was invalid, the SIM Card will then be immediately deactivated. This change to the Terms and Conditions is effective for the registration of new SIM Cards from 25 July 2016.